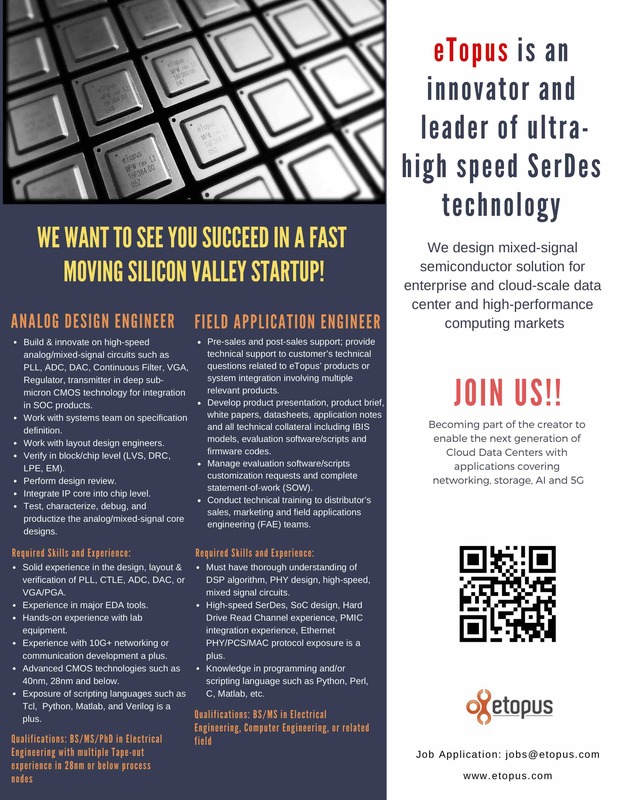 eTopus, a fast-growing VC-backed startup headquartered in Sunnyvale, has multiple openings for High-speed SerDes Analog Design Engineer and Field Application Engineer. Below is the summary of job descriptions and please check Careers at www.etopus.com for more information. To apply for the positions, please contact jobs@etopus.com.